If you come into this looking for a Rai continuation, you may leave disappointed. If you come into this looking for a full recap of the Valiant universe so far, you may leave disappointed. Rai is used as window dressing more for the time period than anything else, which in that regard, any other time period could have worked for the same effect. Gilad gifts Karana with the Book of the Geomancer, so the pair and Rai take a trip down memory lane. The story uses a strict timeline flow to retell the events, meaning we start with the Anni-Padda brothers going through current events. The problem with sticking with chronological order is that it presents a character, such as Toyo Harada as a child, but then won’t get back to him until several pages and many panels later. 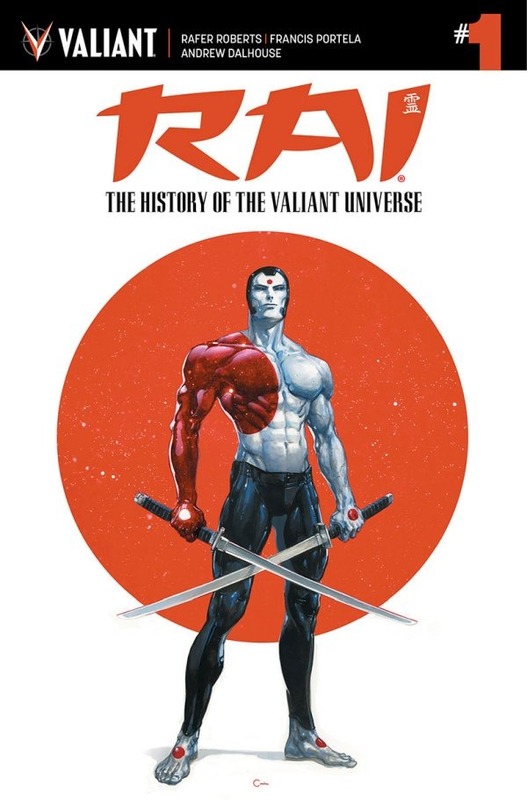 In effect it becomes a nice refresher for those who follow the Valiant Universe, but a little confusing and hard to follow for those picking this up as an entry point. You really can’t fault Roberts, as trying to pack in years of content into one normal size issue is nigh impossible. Portela at least salvages the issue with solid, consistent art that allows him to capture the entire roster of characters. If not for that, this issue otherwise doesn’t quite hit the mark for any demographic looking to pick it up.